Below is a list of 4th of July events on the lake that are going on around Minnesota. We created a blog post to help you decide how to spend the day celebrating America’s Independence! You probably saw this one coming, but a very popular place to spend the 4th of July is on Big Island. This is where many Minnesotans gather to celebrate. TIPS: get there early to ensure your boat gets a good spot, wear water shoes to protect your feet, and a water-proof case for your phone is never a bad idea! At this community gathering, there will be contests, activities, fireworks, concessions, and a petting zoo. This will be a great place to bring children to celebrate-I mean, who doesn’t love a petting zoo! Not to mention, this park is near many restaurants and boutiques. This event takes place on the 4th of July from 9:00am-10:00pm. There is an estimated number of over 200,000 attending this event! 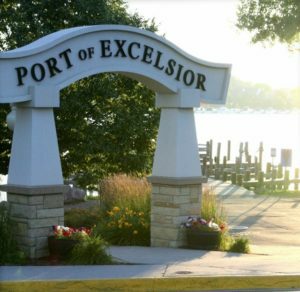 To learn about the 4th of July celebration at the Excelsior Commons Park, click here! 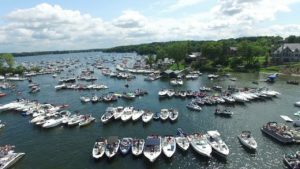 The Prior Lake Association is hosting their annual boat parade starting at 1:00pm. This parade will start at Charlie’s on Prior and then will move down to Lower Prior lake. Another event that is happening is the firework show. The show will start around 10:00pm on Lower Prior Lake. If you are looking to spend time on one of the other 10,000 lakes, we have you covered there too. 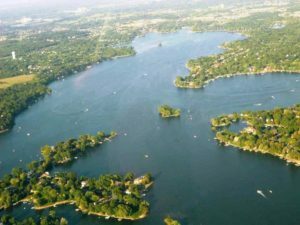 Below we have listed our favorite things to do on and around the lake. This is a great way to cool off and enjoy the breeze! Whether it is skiing, tubing, wake boarding, or even surfing, get out there and try it! But, if water sports are not your thing, then just enjoy the show. Just make sure to apply, and reapply, the sunscreen. This is a fun way of getting involved in the community to celebrate the 4th of July! Just find some American decorations, decorate your boat, and start a train of boats. Pack some snack food, such as fruit, crackers and cheese, and some fun drinks, to last on the lake all day. This way you can stay out all day and celebrate how great our country is! Overall, there are many different ways that you can spend your 4th of July here in Minnesota. The #1 recommendation we have? Find a lake! Whether it is your own, or a friends, get out there and enjoy it. 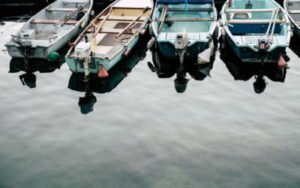 If you do realize after your 4th of July events on the lake that your lakefront may need some work, give us call at (952) 356-0614 and we can help you get it weed-free.